For 0.093 inch dia. and 0.100 inch / 0.156 inch spaced connector pins- 14-24 AWG wire. Cuts and strips wire from 14-24 AWG, and crimps connector pins (male and female) in 0.093 (round) size, and both small & large flat pins for housings with 0.100 and 0.156 spacing. Easy to use. 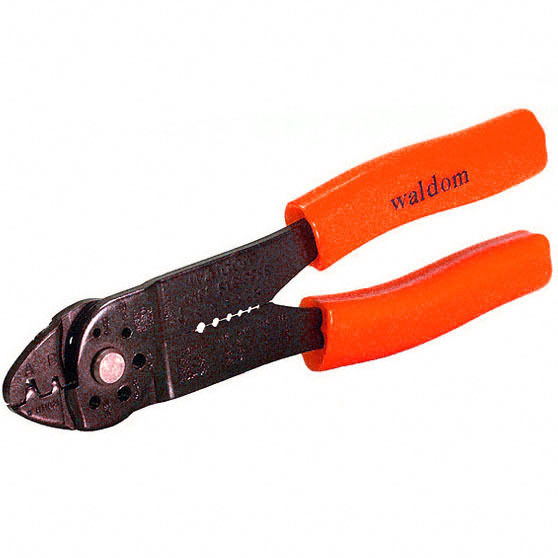 High quality Waldom® factory tool made to industry specs and quality.